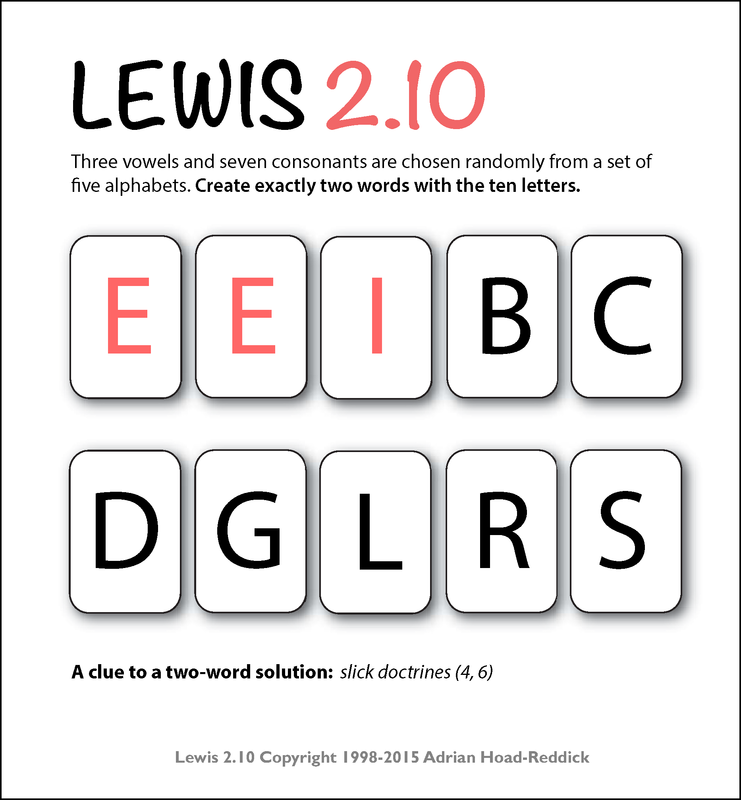 This game is named after Lewis Carroll, who liked to serve up 10, 20 and 30-letter challenges like that above. Our answer from the last two puzzles are ‘THEORY’ (found in LITHE OR YOU…) and clued by supposition, and our last 2.10 solution was ‘GIRDER SHOP’. 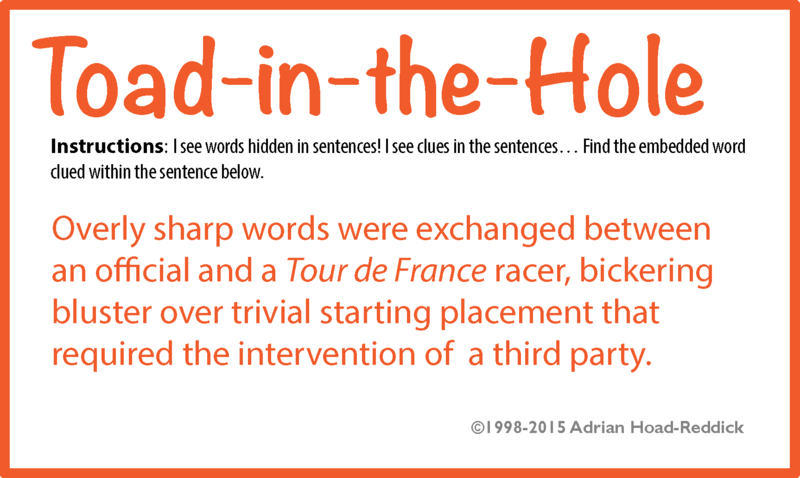 Find the embedded words clued within their sentence. Three clues are provided as a last resort (pun intended). What keyword is found in the definitions of each of the given words? The image above shows only a portion of the game! Here’s a link to the full version, ready for print ‘n’ play all day. 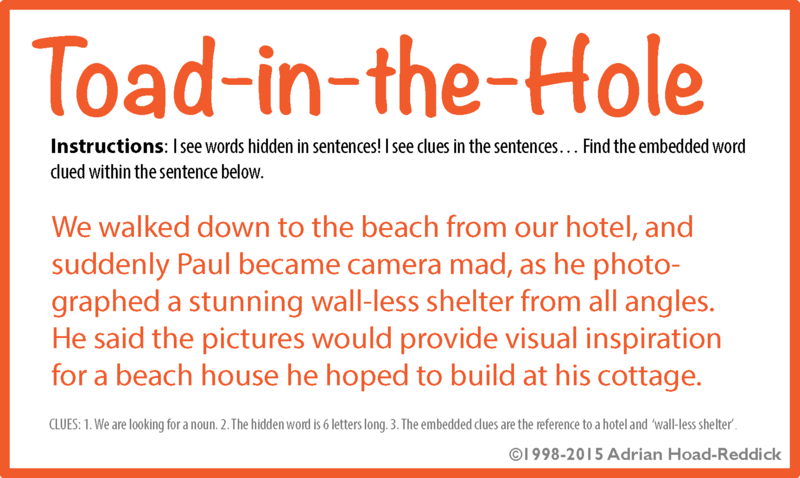 Find the word clued by the sentence in which it hides. 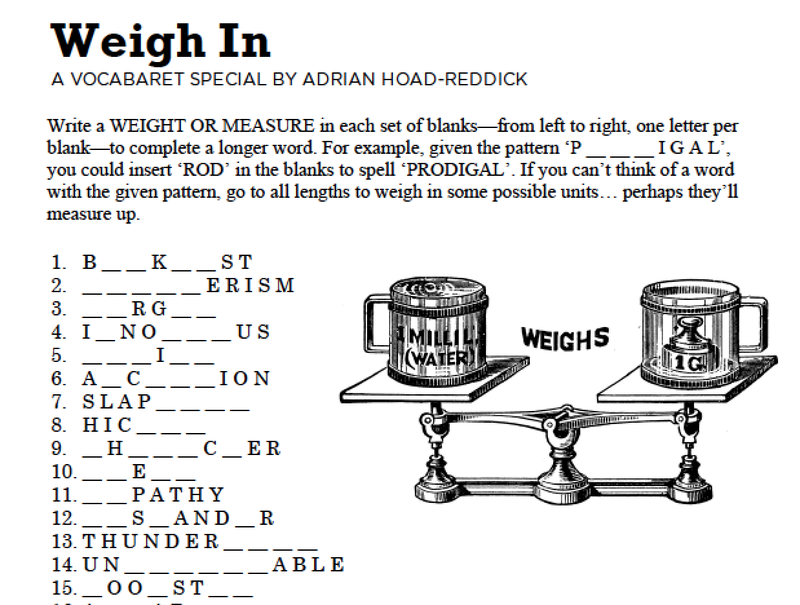 Here is a link to the full printable puzzle, including the answers. 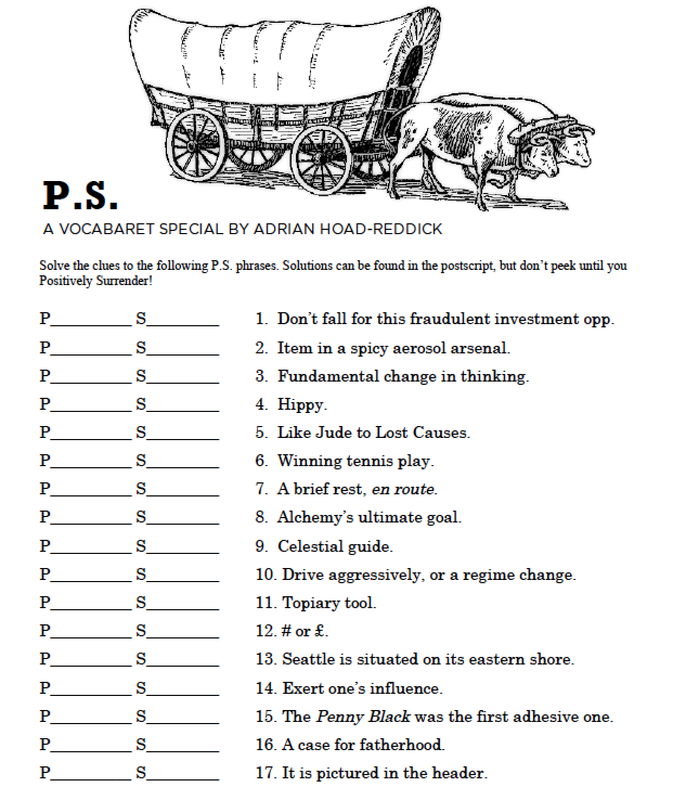 Print it out and let it niggle your noggin all day! Jenn Dimples Lee has a decent score. 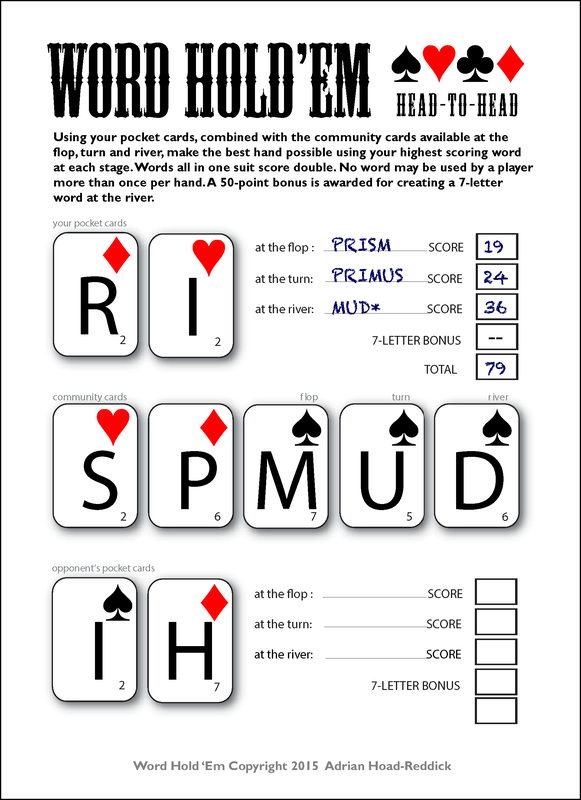 You’ve got the better hand if you play your words right! 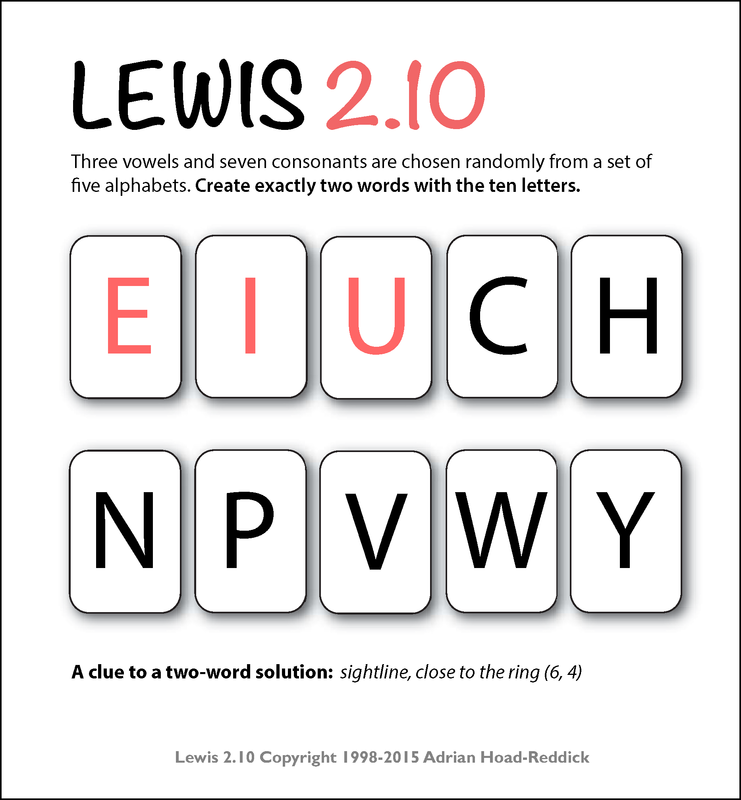 Create two words from the letters provided. One of the seven possible solutions is clued in the puzzle.